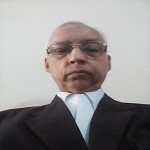 R.K.Nanda- Advocate- Supreme Court of India, Legal Consultant, Attorney, Solicitor, Jurist And Civil Laws Expert. Expert in legal drafting of plaint,written statement, revision petitions, appeals, writ petitions of high court and writ petitions, caveat petitions and PIL and SLPS of Supreme Court. My specializations are writ petitions, appeals and SLPS in Supreme Court. Court Practice : 35 Years. Querists can get reply for their legal queries by sending them at my given below email id.